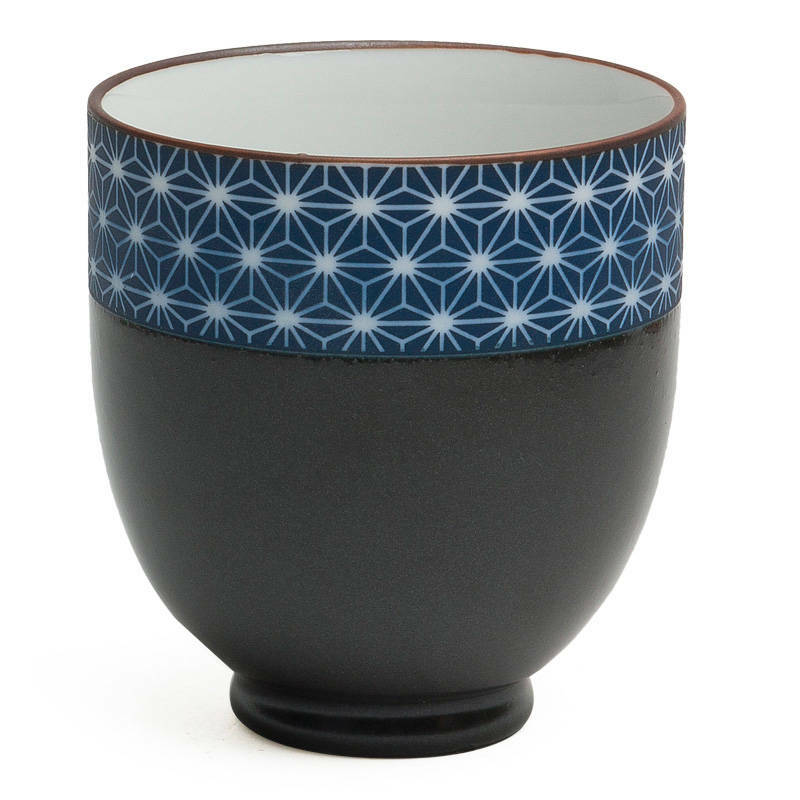 Sashiko pattern border on a black matte teacup. 6 oz. Microwave/dishwasher safe. Made in Japan.